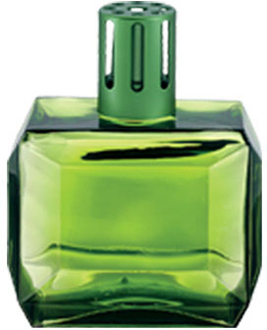 The Lampe Berger Carat Emerald Green lamp is produced in heavy glass and shaped like a gemstone allowing light to be transmitted from different angles. The lamp is supplied in a nice gift box with all accessories including all tops, burner, funnel and instructions. Height: 5.8"